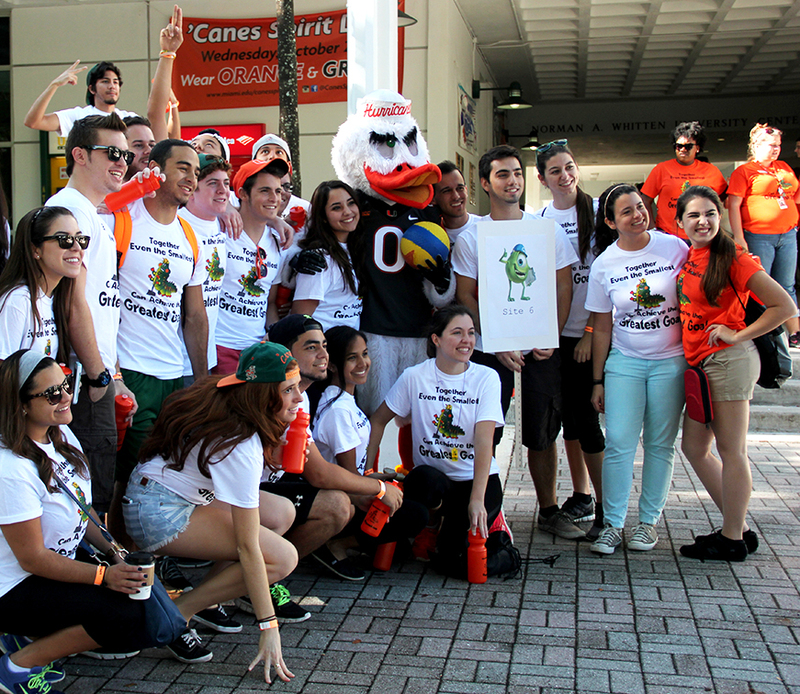 After making it through a week of classes, about 200 students from various campus organizations spent their Saturday morning participating in Hurricanes Help the Hometown (HHTH), a Homecoming event that happens to be one of the longest-standing service days at the University of Miami. This annual event was planned out six months ahead of Homecoming Week by Hannah Abel, Jackie Safstrom and Sapan Parikh, the chairs of HHTH. “We go into the community and see which sites are more responsive to student volunteers,” said Parikh, a senior majoring in economics and finance. Students were welcomed with a T-shirt, a water bottle and bagels before they got on buses that drove to volunteer sites such as the Tropical Audubon Society and the Fruit and Spice Park. The largest group of students, numbering 102 volunteers, went to the Fruit and Spice Park, a roughly 40-acre garden in Homestead. Founded in the 1940s by Miami-Dade County, Fruit and Spice Park was originally created to showcase Floridian agricultural crops such as citrus fruits and mangoes. However, in the 1980s, a new park manager decided to diversify the park with tropical plants from all over the world. Today, the park boasts more than 2,000 trees, including 120 varieties of mangoes and 60 varieties of bananas. Guiding the students was Louise King, a park horticulturalist who expressed her gratitude towards the volunteers. “It’s hard to keep up with 40 acres of plants with a small staff, so when UM volunteers come to help us, it frees our garden staff to do horticultural tasks that involve more skills and knowledge,” King said. Volunteers marched across the park and pulled out possum vines and air potatoes, plants that compete with trees for sunlight and nutrients. If left unchecked, these plants would grow to cover the canopy of the trees and prevent the trees from obtaining sunlight. After four hours of hard work, the students gathered around in a circle to discuss how they felt about the service day. Aalekhya Reddam, the Homecoming chair for the Council of International Students and Organizations (COISO), was impressed with the park’s variety of foreign plants, many of which UM’s international students could recognize. “It was like the whole world condensed in Fruit and Spice Park,” she said.